Bounce out Justice with Batman! Batman jumpers in San Diego! 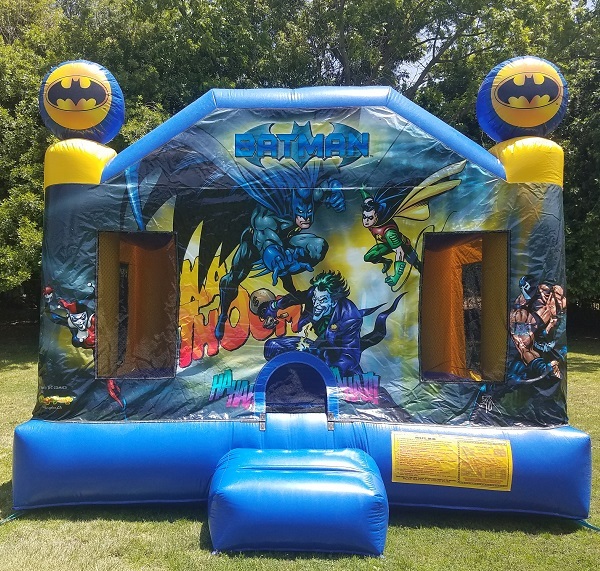 Bounce with Batman, Robin,The Joker, Bane, and Harley Quinn in this officially licensed batman bounce house!